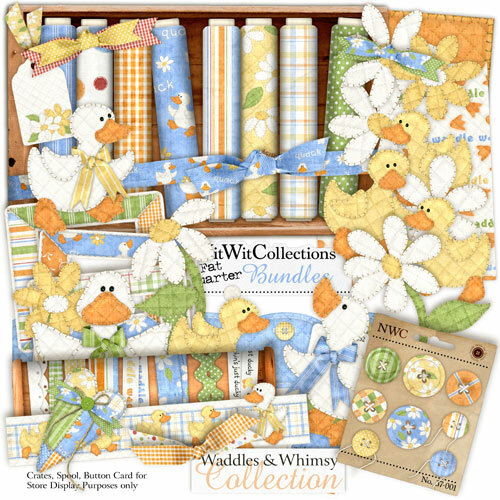 My "Waddles & Whimsy" Collection is yet another in this series! Did I ever tell you that I was fortunate to be able to raise two ducklings when I was a kid? Of course not, hey? Well I'm tellin' ya now that I did and it was truly an experience I remember fondly! Those little ducklings (Macgillacuddy and Snicklefritz) were the inspiration for this kit. Once a duck lover always a duck lover, I suppose.... Hope you love 'em too!